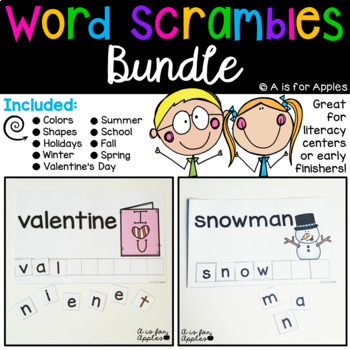 Practice one-to-one correspondence by scrambling and unscrambling seasonal and vocabulary words. 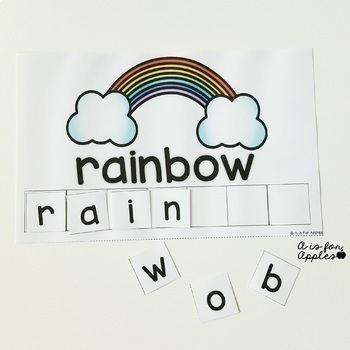 Perfect for a literacy center, word work activity, early finishers, and independent work time. Save 20% by purchasing this bundle! Print the color pages and laminate (or to save on ink, use the black and white printables and print on colored paper). Cut on the dotted line to separate the letters. Cut out the letters and store in a baggie. You can store all the letters together or keep each word separately. 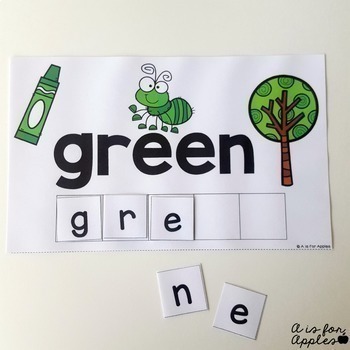 Have the students use the letters to spell each winter word.